Iranians protest again: Is the regime going down a slippery slope? The scenes of protests and rallies in cities across Iran on Tuesday night are a major reminder. This regime is on thin ice. Many cities became scenes of people using the national “Fire Festival” to stage anti-government protests. Tehran, Tabriz, Mashhad, Rasht, Ahvaz, Kermanshah, Sanandaj and many others became witness to such major acts of protests. This proves Iran’s nation will not rest until they realize their ultimate objective of regime change. Very telling is how state security forces remain on high alert in cities across the country, including Qom, central Iran, known as the Iranian regime’s hub where numerous seminaries are located. Protests are continuing daily across the country. Marking International Women’s Day, several protesters outside the Labor Ministry in Tehran were demanding equal rights for women. Marginalized farmers east of Isfahan continue to protest authorities’ rerouting of river waters and destroying their agriculture products as a result. All the while strikes and protests continue to mushroom across the country. Understanding the nation will continuously discover new methods to express their protests, Iran’s authorities have taken numerous precautions. “State police is using 5,000 officers, 10 million accomplices, 1,100 traffic police vehicles, 27,000 special police patrols, installing 1,330 police trailers, 3,770 patrol vehicles, 2010 motorcycle patrols, 2,900 on-foot patrols, 1,700 temporary inspection centers, 104 permanent inspection centers and 30 helicopters,” according to Iran’s state police spokesperson in an interview with state TV. The Supreme National Security Council, chaired by the so-called “moderate” Iranian President Hassan Rouhani, most certainly adopts and approves such actions. Iranian parliament speaker Ali Larijani depicts the road ahead best by indicating challenges lay ahead for the clerical regime. What superficially began as a protest over poor living conditions quickly swelled into an uprising growing nationwide aiming to overthrow the Iranian regime in its entirety. As proven again on Tuesday night, these protests can no longer classify as isolated incidents of unorganized nature. This grassroot movement is proving conditions will never be same following the uprising born on December 28th. The driving force behind these protests, rapidly spreading to over 140 cities and towns through Iran, are women and the deprived social sectors. Protesters have been chanting and writing in graffiti, ‘Death to Khamenei’ and ‘Death to Rouhani,’ formally referring to the regime’s supreme leader. “Despite any ups and downs, the uprising will move on. The regime is incapable of stopping it. There are signs of alarm and concern even inside the IRGC and Bassij militia. The wall of fear has been cracked, and nothing including arrests, killings and torture can prevent the advancement of the protests to overthrow the regime,” Iranian opposition leader Maryam Rajavi said back at a February session in Paris held by the National Council of Resistance of Iran (NCRI). The stakes at hand are grave, to say the least. The West has finally begun to acknowledge the threats Iran poses for its Middle East neighbors through ballistic missiles and regional meddling. It is time the entire international community realizes the undeniable fact that the Iranian people are demanding sweeping regime change. Tuesday night’s protests also prove a direct link between the protests and the Iranian resistance movement, following a call made by the People’s Mojahedin Organization of Iran (PMOI/MEK), the largest member of the NCRI coalition. The NCRI is pioneering the struggle to realize regime change in Iran and that is what the people of Iran want. It is high time for the West to realize appeasement vis-à-vis Tehran is not welcome as protesters express their abhorrence of this clerical rule. Known for blowing the whistle on Iran’s clandestine nuclear weapons program, the PMOI/MEK is the spearheading protest organization inside the country. Khamenei went public on January 9 acknowledging the PMOI’s leading role behind these protests. The European Union and each member state should not only recognize the Iranian people’s legitimate demand for regime change, but to adopt effective measures aimed at compelling Tehran to release all recently arrested protesters, guarantee freedom of speech and assembly, end suppression targeting women and abolish laws imposing compulsory veil. Iran’s regime is currently on shaky grounds. As a result, the EU should refrain from any deals with companies and individuals affiliated to Iran’s crackdown apparatus, most specifically the Revolutionary Guard Corps (IRGC). As the people voice their demands ever so clearly, the future of political and economic relations with Tehran should hinge on the release of all political prisoners and an end to executions. In line, it would be quite encouraging to witness the United Nations launch a commission missioned to investigate the arrests, disappearances and mysterious suicides of Iranian protestors while in custody. Europe should jump on board with its Middle East allies and the United States in adopting a firm Iran policy. Silence in regards to Tehran’s unrestrained quelling of protestors simply seeking their God-given right of freedom is unacceptable. Iran’s state-linked media are a good source, shedding significant and noteworthy light on the seemingly obscure nature of the Iranian regime. The common tone heard in all such messages is hopelessness. Those loyal to the faction of Iranian Supreme Leader Ali Khamenei see the solution in sacking the regime’s president, Hassan Rouhani. Arguments from the other side of the aisle in Tehran’s politics rely on warning the Khamenei camp that such a scenario will not end the regime’s escalating quandaries. This is only the beginning and there is no stopping this train, adding the entirety of this regime is in the crosshairs. There are those who believe dark days await those sitting on the throne in Tehran, speaking of future uprising waves. Providing no solutions, their words can mean nothing but succumbing to an inevitable downfall. “Those who have continuously spread despair and anxiety through their platforms in state TV/radio and Friday prayers (in reference to the Khamenei camp) seek to portray Rouhani as incompetent. They issue and chant slogans of ‘Death to Rouhani,’ failing to answer the inescapable question of who after Rouhani. The answer is obvious: surpassing Rouhani means overcoming the government, reaching the very principle of our state, and finally surpassing the Islamic republic itself,” according to the Tadbir24 website, known for its affiliation to the Rouhani camp. Interesting is how this piece considers Rouhani a synonym of the ruling state, or at least the velayat-e faqih regime’s last chance of survival, warning surpassing Rouhani is tantamount to the end of the clerical rule altogether. Protesters in the streets, however, are crystal clear in their intentions and how they view the overall regime apparatus. Chanting “Death to Rouhani,” “Death to Khamenei,” and most interestingly, “Reformists, principalists, end of story,” the Iranian people are demanding sweeping changes, accepting nothing short of regime change. This ends Iran’s scheme of portraying a system established on two parties of conservatives and reformists. “The issue at hand is not limited to merely surpassing Rouhani. More grave ends may be awaiting us,” according to the Jamaran website, explaining how these protests are raising eyebrows across the board amongst senior Iranian officials. “Let us be frank: Taking into consideration the current heading, our destination will be nothing but all out ruin,” according to the Asr Iran website, another Rouhani camp mouthpiece. “The society has become a cradle for numerous crises that will surface in other forms (read in further nationwide protests),” according to Rouhani’s economic advisor Hossein Zaghfar. Warnings of other crises in the making and Iran anticipating further calamities are indicating signs of Iran’s ruling elite understanding very well there the harsh reality of these protests’ refusal to ever melt down. To add insult to injury for the mullahs, the brave Iranian people are showing how the regime’s crackdown machine no longer enjoys its previous teeth. For forty years the clerical regime has been relying on this entity to remain intact and in power. Scenes of protesters tearing down Khamenei posters and attacking sites of the Revolutionary Guards Basij paramilitary force, parallel to a wave of Basij members burning their IDs and credentials, speak for themselves. Iran’s protests will continue despite the fact that authorities killed 53 protesters and sent over 8,000 others behind bars, reports indicate. The Iranian people are proving to the world over their objective of seeking regime change and establishing a republic based on democratic values rightfully cherished by most of today’s countries. History shows those movements presenting a specific alternative to the ruling state have a far better chance of realizing victory for the people. A leading entity with a publicized plan for the future and the courage that the populace can rely on. The time has come to set aside the “reformist” mirage in Iran. For decades, Maryam Rajavi, as President of the National Council of Resistance of Iran, is providing the sole, realistic alternative for Iran with a ten-point plan that enjoys the support of thousands of elected officials across the globe. Demand the release of all recently arrested protesters & political prisoners. Provide free internet access to all of Iran to allow activists report the truth about this regime, unfortunately cloaked by mainstream media. Continue cutting off Iran’s access to the global financial system. This will deprive the IRGC from the financial sources it desperately needs to continue its slate of domestic and foreign belligerence. As we gear to welcome 2018 with celebrations across the globe, it is morally correct to take a moment and think about the lesser fortunate in such times. The world’s most powerful earthquake in 2017 shook Iran’s western province of Kermanshah, leaving at least several hundred people killed – while posts on social media showed locals speaking of the death toll being in the thousands – and scores more injured. For the survivors, despite living in a country sitting on an ocean of oil and gas, their hardships continue as we speak. Iran, being the world’s leading state sponsor of terrorism, stands accused of allocating billions to prop the Assad regime in Syria, funding the Lebanese Hezbollah, supporting Yemen’s Houthis and backing Shiite militias in Iraq. This goes alongside further billions pumping into a controversial and unnecessary nuclear program, and a dangerous ballistic missile drive. The Iranian people are continuously seen protesting the regime’s policies. On Thursday a large number of protesters took to the streets in the cities of Mashhad, Neyshabur, Kashmar and Birjand in northeast Iran, protesting unemployment, poverty and skyrocketing prices. Protesters were also seen chanting, “Death to Rouhani” and “Death to the Dictator,” in reference to the regime’s president and Supreme Leader Ali Khamenei, respectively. As we speak, at least 85,000 earthquake victims are enduring dire circumstances, while longing meaningful government aid after more than six weeks into this ordeal. Evaluations show around 18,000 homes are completely destroyed in this area and another 50,000 have suffered major damages, according to Iran’s official news agency. The mayor of Sar Pol-e Zahab, the main town targeted by the quake, says many of those whose lives have been ruined remain waiting for trailers. The situation has also been discussed in the country’s parliament. The province of Kermanshah is also known as the center of Iran’s kidney market. As the media sporadically covers the earthquake’s aftermath, unknown to many even inside Iran is the fact that this province faces a wide range of other difficulties. “Our cities are tantamount to war-torn areas. No major factories, no source of employment… This fuels unemployment and poverty, making many in Kermanshah willing to sell a body part,” said Hossein Bigleri, head of the Kermanshah Kidney Patients Support Society, according to a state-run Iranian website. The irony lies in the fact that with such a high percentage of Iran’s populace living in utter poverty, those who need kidney transplants the most lack the procuring ability. The price of a kidney now stands at around $5,000 in Iran, and at times even higher, reports show. Lines are long at Kermanshah’s dialysis clinics, as both sides of a kidney transplant are facing serious jeopardy. As a result, many of those looking to sell their kidneys are seen seeking markets in other cities across the country. For a society such as Iran, further disturbing is the rising number of women seeking to sell their kidneys, including women as young as 20 to 35 years of age. There are cases of such desperate women who are even willing to sell their kidneys for as low as $1,500 to desperately make ends meet. As such numbers portray a drastic image, Iran’s next fiscal budget will provide the Iranian Revolutionary Guard Corps (IRGC) around $76 billion of the total $114 billion allocated to the regime’s armed forces. The IRGC and its extraterritorial unit, the Quds Force, enjoy a priority in the new budget, according to reports. 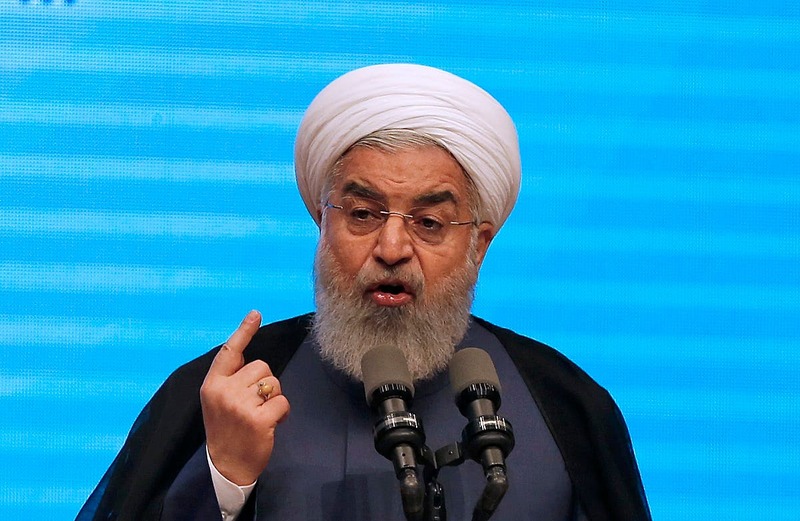 While claiming to be a moderate, Iranian President Hassan Rouhani submits the budget plan a month after the quake and presses the parliament to urgently approve the bill. Mohammad Jamali, a member of the parliamentary defense committee, considers the Quds Force and the provocative missile program that has bought the regime numerous condemnations, deserving the utmost priority in the armed forces’ budget. This MP argues regional and international threats demand Iran upgrade its capabilities, while continuously failing to provide the attention earthquake victims deserve. Further concerning is the fact that Tehran is spending about $15-20 billion a year in Syria, revelations indicate. Making a long story short, many in Iran face no choice but selling their body parts to provide for their daily needs. This regime, however, is designating 150 times the budget of a province such as Kermanshah to maintain a ruthless dictator such as Bashar Assad in power. The Iranian regime’s aggression result in the people at home paying the price with their flesh and blood, and millions across the region losing their lives, being injured and/or displaced. This must come to an end and all crosshairs must focus on the ruling elite sitting in Tehran. A TIME piece back in July explains how such measures are effective against Iran’s regime. From day one the regime of Iran has been based on the pillars of domestic crackdown, and exporting terrorism and a reactionary, religious mentality. As we speak, spreading extremism and Islamic fundamentalism remains a cornerstone policy of Iran’s state-run strategy, all hacked into this regime’s constitution. Earlier this year Amnesty International’s 94-page report, “Caught in a web of repression: Iran’s human rights defenders under attack,” detailed this regime’s drastic human rights violations, with a specific focus on its extensive overdose of executions. As witnessed for years running, Iran is the world’s leading executioner per capita, with many hangings continuously and horrendously carried out in public. All the while, secret executions are ongoing in dungeons across the country, including Tehran’s infamous Evin Prison. This is the real image of Iran, cloaked by the ruling regime and their appeasers in the West for years, who continue to portray Iran’s President Hassan Rouhani as a moderate worth dealing with. Rouhani heads a corrupt system responsible for executing around 3,500 people, and counting, from 2013 to this day. 350 such counts have been registered this year alone. Iran lacks anything even remotely comparable to a justice system and the current Justice Minister, Alireza Avaie, has been on numerous terrorist lists since 2011 for human rights violations. Avaie is also known to have played a leading role in the 1988 massacre of over 30,000 political prisoners, consisting of mostly members and supporters of Iran’s main opposition, the People’s Mojahedin Organization of Iran (PMOI/MEK). Iran is the godfather of human rights violations and terrorism, known as the main source of systematic human rights violations and expanding conflicts across the region. Iran’s Revolutionary Guards (IRGC), and the Quds Force, responsible for the IRGC’s extraterritorial operations, led by Qassem Suleimani, famed for his ruthlessness, are the main parties responsible for Iran’s internal repression, and mainly, aggressively expanding Iran’s influence throughout the Middle East. For decades the IRGC has been responsible for terrorist attacks in this flashpoint corner of the globe, including the countries of Syria, Iraq, Lebanon and Yemen. In this regard, Tehran’s continuing practice of being the nursing home of proxy extremist groups is no matter of dispute or questioning. What Iran has maintained a lid on has been its close collaboration with terror elements. 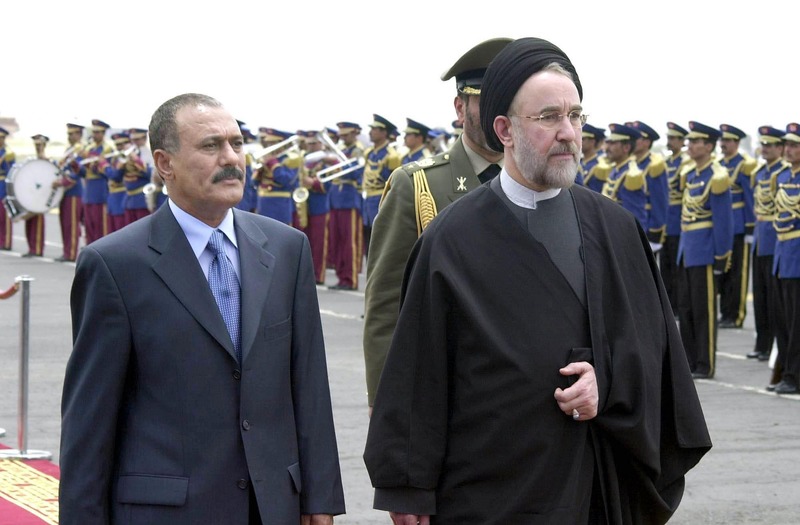 For decades, the world has been deceived – conveniently for and by Iran – into believing that significant differences exist between Sunnis and Shiites, and thus cancelling any possibility of Tehran having links with its Sunni rivals. Tehran has usurped this window of opportunity to portray itself and claim to be a de facto ally of the West in the fight against extremism, especially recently in the form of ISIS in Iraq and Syria. Discussions in Washington are ongoing over how the US military, short of a direct conflict, can deter and contain Iran’s meddling in Middle East countries. The Pentagon has refrained from public comments. One official familiar with the mentality of US Secretary of Defense James Mattis has hinted to the media that Iran is the focus of much attention in the Pentagon recently. Last week Secretary of State Rex Tillerson chaired a meeting between the US, UK, France and Germany to blueprint US-European collaboration aimed at countering Iran through the course of diplomatic and economic practices. Other senior Trump administration officials have also resorted to significant remarks. “What the Iranians have done across the broader Middle East is fuel and accelerate these cycles of violence so that they can take advantage of these chaotic environments, take advantage of weak states, to make them dependent on them for support,” US National Security Advisor H.R. McMaster said to a security forum last weekend. “We have to address what is a growing Iranian capability and an ability to use proxies, militias, terrorist organizations to advance their aim, their hegemonic aims in the region,” McMaster added. Newly released documents obtained by US special forces in their raid on the residence of the now dead al-Qaeda leader Osama bin Laden in Pakistan prove what many scholars have argued for years. Iran’s regime, known as the beating heart of Islamic fundamentalism, has never considered sectarian differences an obstacle to cooperate with extremists. Tehran seeks to strengthen its resolve in the objective of furthering influence and global support for fundamentalism and terrorism. These documents prove how the Iranian regime was working closely with al-Qaeda, including bin Laden himself, which could have subsequently led to Tehran’s inevitable cooperation with ISIS. Iran’s rulers, and their cohorts spread in various countries, seek the same objective of establishing a ruthless caliphate by deploying global jihad. This practice hinges on unbridled brutality, misogyny and immorality to its utmost extent. No limits in barbarity and viciousness is accepted by these parties in their effort to reach their objectives. Further reports are emerging detailing the growing amount of ties linking the regime in Iran with extremists groups, such as al-Qaeda and ISIS. New evidence confirms how despite the existence of various factions of extremist groups such as the Taliban, al-Qaeda and ISIS, at the end of the day, they all look at Tehran as the main source fueling this infamous mentality. Iran’s support for the Houthis in Yemen has escalated and gained much attention recently. For example, a missile launched by the Houthis on November 4 was strikingly similar to an Iranian-made Qiam-1 short-range ballistic missile, added to its collection by Iran in 2010, and yet never before seen in Yemen’s missile arsenal, according to a confidential report prepared by a UN panel of experts missioned to monitor a 2015 arms embargo imposed on Yemen. One component — a device, known to be an actuator, used to assist in steering the missile — was found among the debris bearing a metal logo of an Iranian company, Shadi Bagheri Industrial Group, known to be the subject of UN, EU, and US sanctions. The Houthis “obtained access to missile technology more advanced” than what they had prior to the conflict’s birth in 2015, according to the panel report. “The design, characteristics and dimensions of the components inspected by the panel are consistent with those reported for the Iranian manufactured Qiam-1 missile,” the text adds. The dangerous nature of Iran’s regime is obvious to all. Parallel to military and terrorist measures throughout the globe, Tehran targets naïve and vulnerable subjects, using them to relay their reactionary mentality. This includes the various Western parliaments and significant international bodies, including UN and EU institutions. Tehran’s demonization agendas have shown to be predecessors to violent attacks. Only serious measures against Iran’s regime, and ultimately the collapse of this ruthless entity, will mark the end of Iran’s human rights violations, and meddling and support for terrorism being spread deceivingly under the flag of Islam. ALSO READ: Who is Qais al-Khazaali, godfather of Iranian-backed Shiite militias? Iran’s increasing meddling abroad is not a policy signaling this regime’s strength. In fact, facing deep domestic crises, Tehran is attempting to cloak its internal weakness by increasing its influence across the region on the one hand, and resorting to saber-rattling to prevent the international community from adopting a firm policy. Iran entered negotiations and succumbed to curbing its nuclear program due to fears of uncontrollable uprisings resulting from crippling international sanctions. This is the language Iran understands and more major sanctions are needed against this regime. Bent under the weight of their loads — smuggled cigarettes, alcohol, gasoline, and even home appliances — the mules are a common sight in Iran’s western border regions. Tehran received a major blow following the blacklisting of Revolutionary Guards (IRGC) as a terrorist organization by the U.S. Treasury Department after President Donald Trump’s October 13th landmark Iran policy speech. This has senior Iranian officials extremely concerned as the regime in its entirety is desperately attempting to cope with the aftermath. There are those heard struggling to downgrade the impact and save face. “Sanctions against the IRGC are nothing new… The IRGC is not an economic entity for them to attempt to impact its future through sanctions. The IRGC is a military entity that will negotiate with no one regarding its duties,” said Hessam-edin Ashena, an advisor to Iranian President Hassan Rouhani to a state daily. Understanding the importance of U.S. sanctions, Gholamreza Tajgardoon, chairman of the Budget & Planning Commission in Iran’s parliament resorted to similar remarks. “Sanctioning the IRGC will have no impact on the country’s economy… U.S. sanctions are an issue of international relations. The IRGC has no role in international economic relations. The IRGC is, however, active in military affairs inside Iran and the region,” he also said to state media. This article shed light on the “unprecedented economic impact and expenses expected through the mother of all sanctions” – a term used by Iranian experts – on the entire regime apparatus. Furthermore, individuals and entities cooperating in any way with the IRGC must be designated and included in the SDN sanctions list under Executive Order 13224. The scope of these new sanctions will be extreme and far from any expectation under this executive order. For example, more than 5,000 private companies are cooperating with the IRGC’s Khatam al-Anbiya construction company. Based on Trump’s new orders, all these companies are on the verge of being designated in the new list of sanctioned companies. If Iran’s Central Bank or National Bank provides services and facilitations to these companies, and the U.S. State Department identifies this cooperation, these firms will be blacklisted in the SDN list of sanctions by the Treasury Department. This major economic quagmire before the Iranian regime is the reason this bill is described as the “black hole” of sanctions. On one hand there are claims of the IRGC not being an economic entity for sanctions to impact its future. On the other hand, there are those describing the IRGC blacklisting as a terrorist organization as pinning and shutting down the Iranian regime’s economy. The simple truth is that the new U.S. sanctions against Iran are unprecedented of such plans imposed on a country. These economic and national security measures seek to patch loopholes in the highly flawed Obama-blueprinted Iran nuclear deal. Following Trump’s speech, the Senate responded with a draft legislation proposed by Senators Bob Corker and Tom Cotton set to impose tough terms on the Iran nuclear deal. Sanctions lifted under the 2015 Iran nuclear deal would “snap back” if Iran tests ballistic missile enjoying the capability of delivering a warhead, or prevents nuclear inspectors’ access to all sites. The House of Representatives also adopted four new sets of sanctions. The U.S. government is obliged to sanction individuals and entities facilitating financial resources and recruiting new members for Hezbollah. Another bill calls on the White House to pressure the United Nations Security Council to level sanctions on Hezbollah for its use of civilians as human shields. Wednesday’s last legislation focusing on the Iran-backed militia was a resolution calling upon the European Union to designate the Tehran offspring as a terrorist organization. All three pieces bill, not in violation of the Iran nuclear deal, enjoyed bipartisan support with over 320 votes in favor. The fourth and final bill, voted in nearly unanimously on Thursday with 423 in favor against two, aimed to sanction Iran in response to further developing its ballistic missile program. Iran, sensing an end nearing to its days of cheating the nuclear deal with impunity, is showing signs of frustration. The Iranian Foreign Ministry has filed 18 instances claiming the U.S. has violated the deal. Analysts believe this could set the stage for Tehran to abandon ship while blaming Washington for the whole ordeal. Lifting the entire issue to a whole new level, escalating protests by thousands of ordinary Iranians who have invested their savings into state-owned financial institutions are causing grave concerns for the ruling elite in Tehran. Raising eyebrows is the fact that such protests are evolving politically in nature and gaining coverage among mainstream media. Welcoming these rallies, Iranian opposition NCRI President Maryam Rajavi hailed the brave protests and called on her fellow countrymen to join in solidarity and express their support. “Institutionalized fraud along with institutionalized murder and belligerence constitute the pillars of the mullahs’ decadent regime… As long as this regime is in power, there will be no end to the astronomical embezzlement, poverty, unemployment and catastrophic economic conditions,” she said. And once again, U.S. Secretary of State Rex Tillerson voiced his government’s support for the will of the Iranian people. “There are strong feelings and values inside of Iran that we want to promote in terms of one day the Iranian people being able to retake control of their government,” he said during his trip to India.